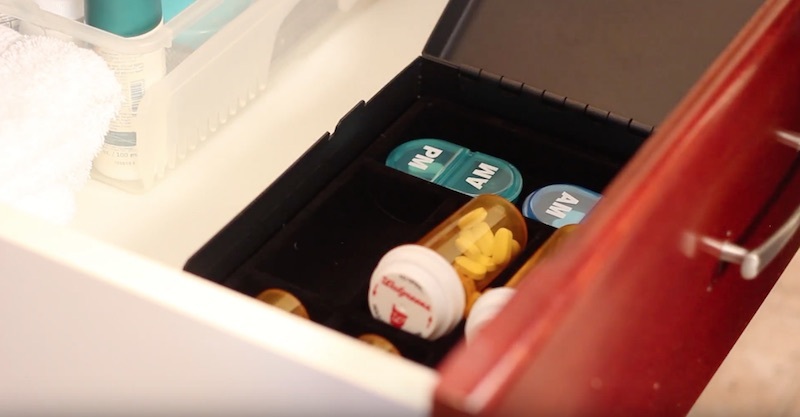 Are you concerned about your medications getting in the wrong hands? 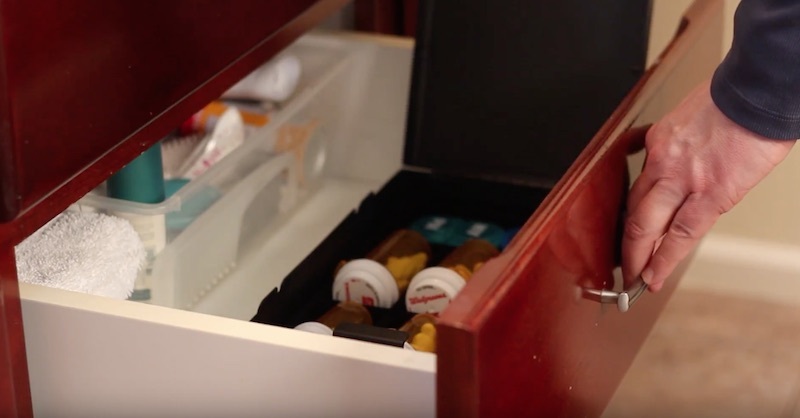 The Medication Drawer Safe is perfect for you! It’s designed to keep your pills secure when you aren’t around. It has a three digit combination lock, letting you set it to whatever combination you want. 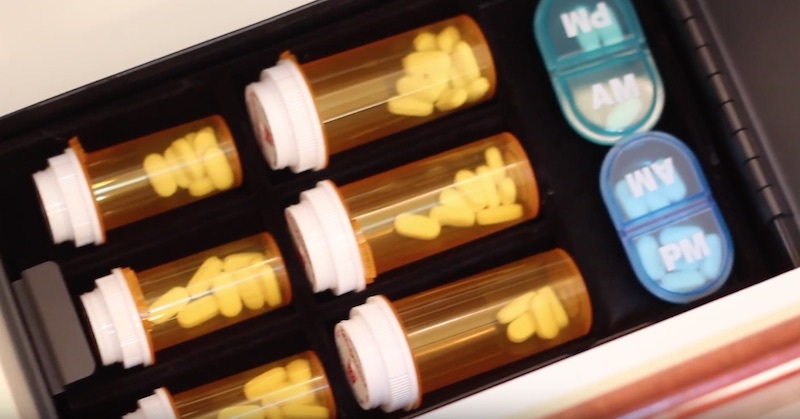 The custom tray can accommodate up to six standard-size medication bottles—perfect for all your daily medications! 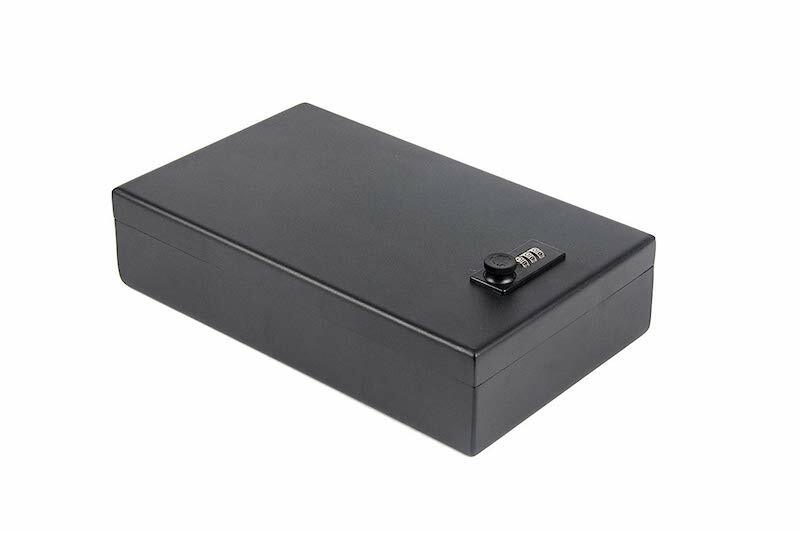 It’s made of 16 gauge steel body construction for maximum protection, and it comes with an oversized “catch-all” compartment to hold whatever you need. 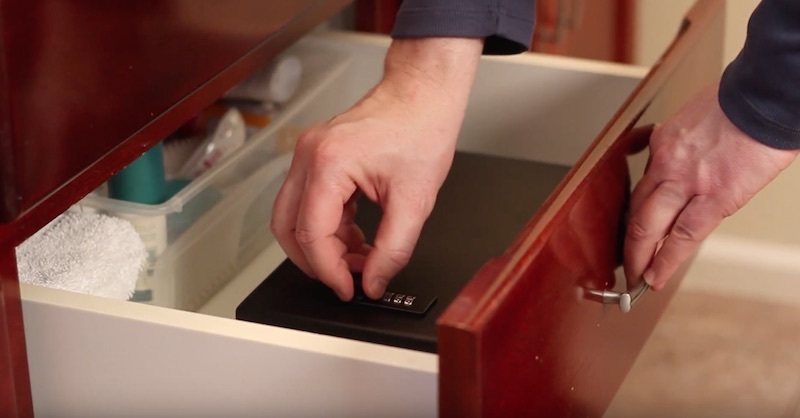 No matter what medication-related things you need to secure, this safe has you covered! 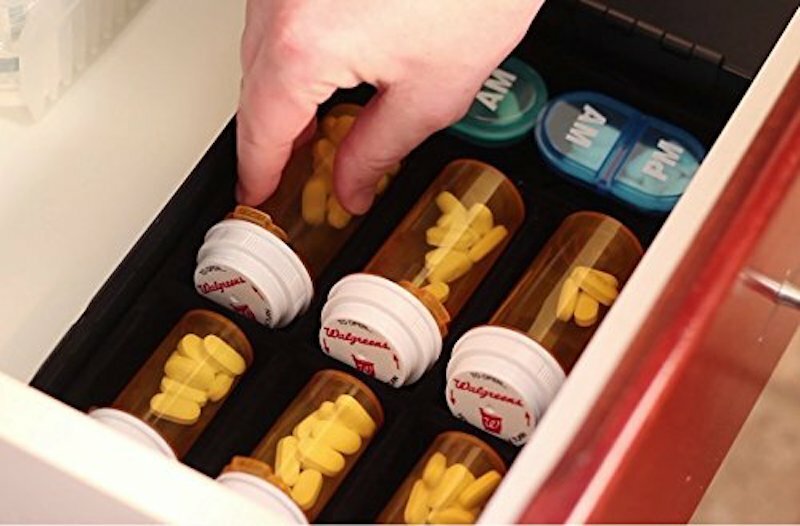 It can fit inside most standard-sized drawers—you can secure your medications in your home, office, or dorm room. 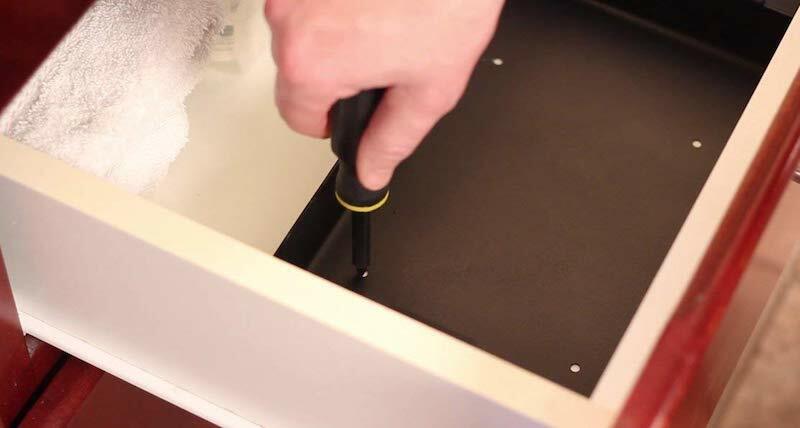 Plus, it has four pre-drilled holes in the bottom of the safe, letting you easily secure it to your drawer! 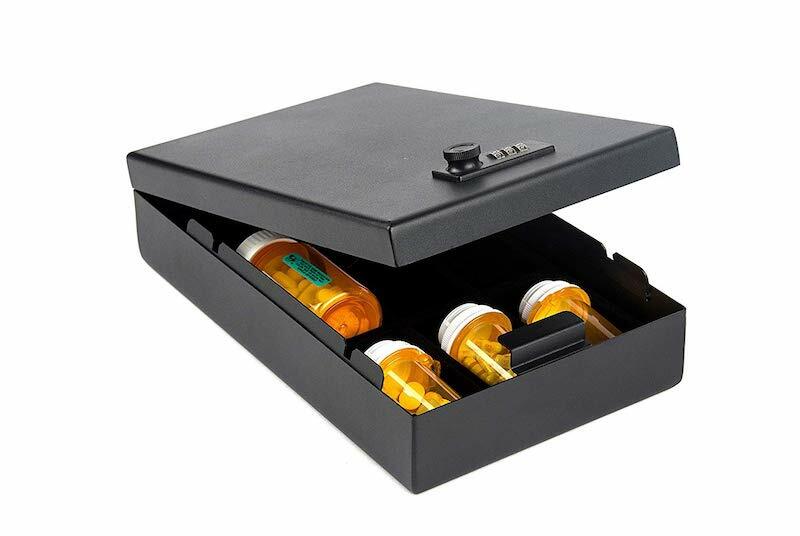 If you want peace of mind about your medications, you need this safe!